Sally has some news! A deal has been made with a publisher in China and The Delicate Pioneer (formerly Poor Felicity) should be out in a Mandarin translation in 18 -24 months. Description: It is 1852. 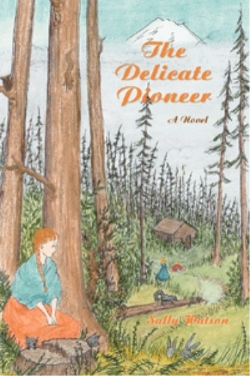 After losing her home and then her parents, Felicity, the oh so delicate pioneer, finds herself in the new settlement of Seattle, growing up in a completely new world with her Uncle and another orphan. Here she discovers the talents and self-confidence to come into her own. More details at The Delicate Pioneer.